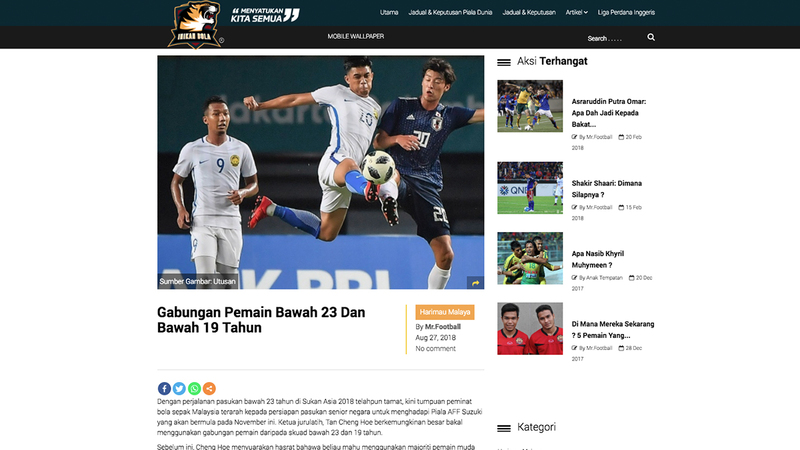 Inikan Bola is a portal offered for all Malaysian Football Fans. Provide the latest information of your favourite teams and players. We also provide LATEST information about our team of prestigious NATIONAL HARIMAU MALAYSIA.